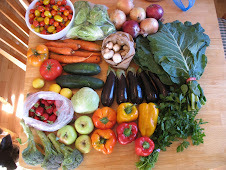 Vegan Eats and Treats! 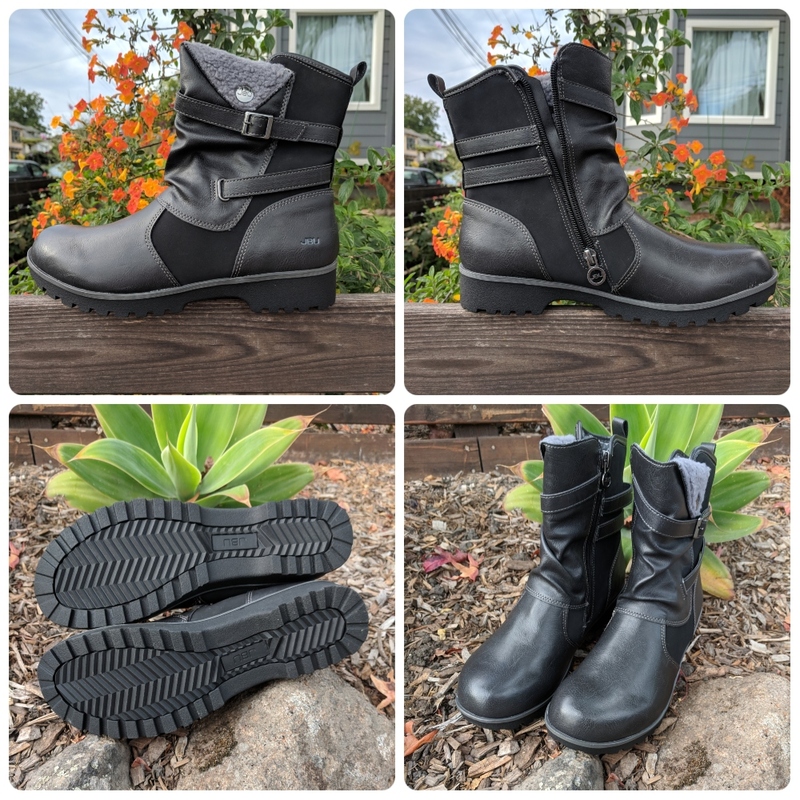 : Evans Boots for Stomping and Romping: A Vegan Shoe Review! Evans Boots for Stomping and Romping: A Vegan Shoe Review! feeling fancy and all ready to teach a yoga retreat! SWOON. Aren't these just the cutest boots ever??? I am so in love with my new Evans Boots from JBU (a sub-brand of Jambu Footwear). They are kinda my dream shoe and I can't stop wearing them, and I'm so glad the weather is cooling down so that I won't have to stop wearing them for a long time. 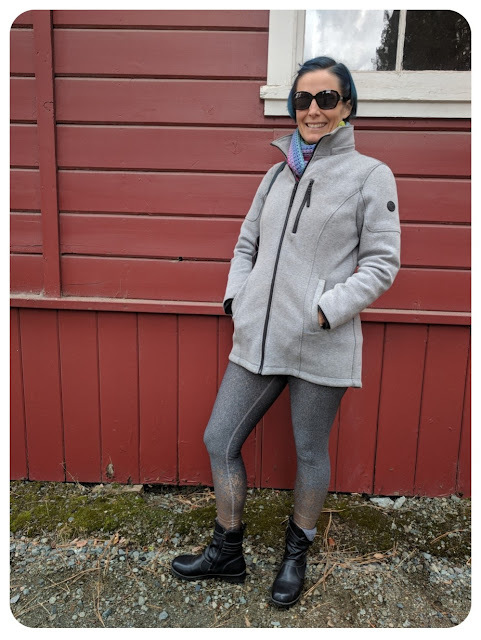 I took them up to Northern California with me last week when I was leading a yoga retreat in Graeagle, CA - and they were just the PERFECT shoes for that trip! First of all, they are absolutely crazy comfortable. They look and feel equally great with my yoga tights as with my regular pants or jeans. They are super easy to zip-on and zip-off. The soles are really high quality and feel supportive and durable. They kept my feet really warm and toasty without overheating. Jambu makes lots of great vegan shoes for women, in a ton of different styles - from boots to sandals, and from casual to more dressy. They aren't all vegan though, so make sure you are looking at the vegan shoes part of their site before falling in love with a non-vegan shoe! These shoes just make me so happy! They make me do crazy little dances and stomp my feet around like I am King Kong or like I am going to destroy my foes and emerge victoriously with my sword held high. I mean, really they just make me feel like a total badass and I love them! These are great attitude shoes when I mean business or want to feel extra confident. Obviously I am also a complete goofball who pulled over on the side of the road and took videos of herself stomping her feet around and pretending to be a monster. The first time I tried these on, I was at a yoga course out of town, and I ended up going for an hour long walk up in the hills with them on: climbing hills, climbing and descending long staircases, traipsing through woodland trails... and even with brand new shoes my feet were happy as can be! At first the Evans boot felt a little on the narrow side for my feet, but as I have continued to wear them, that has entirely gone away and they feel perfect on my feet. I wear a size 9, and these fit me very true to size. These pictures show the stylish detailing on the Evans Boots - I especially like the little buckle and the gentle crinkle of the faux leather. And check out the soles - they're really serious and have great grip. These boots are also "water resistant" (not water proof, but sturdier than some!). They come in black and brown and I found it hard to choose between the two because they're both really pretty. I'm glad I went with black in the end though because I have more black in my wardrobe. The top left picture shows the Evans boot from the outer ankle view, and the top right picture shows the inner ankle view where the zipper is. The zipper goes pretty much all the way to the sole of the shoe, so it's really effortless to get my feet in and out. Here you can see how fuzzy they are on the inside!!! Around the front of the ankle, these shoes have a sort of faux shearling lining, and then the rest of the inside liner is super soft velvety fleecey fabric. Whatever it is, it's pure comfort magic. The insoles are made with memory foam and it's just an extremely pleasant experience to wear these shoes! I almost always wear them with socks, but a few times I've worn them out for errands without socks and they are still cozy and comfy even without socks. Before heading home after my yoga retreat was over, I wore my Evans boots on a day hike with my friend and her beautiful dog. It wasn't a crazy demanding hike, but my boots did a great job walking along the trail, scrambling over some rocks to see salmon swimming upstream in the river, and keeping my feet comfy and secure the whole time. They got all dusty on the trail and easily cleaned up again when I got home! The whole hike was super autumnal - with aspen trees turning bright yellow, a little chill in the air, and especially those amazing salmon. It had probably been at least 20 years since I had seen salmon swimming upstream to spawn. It's so amazing to watch. I also found a perfect pinecone on my hike and brought it home with me. See how beautiful it was there?? I was basically oohing and aahing the whole time and I took so many pictures. 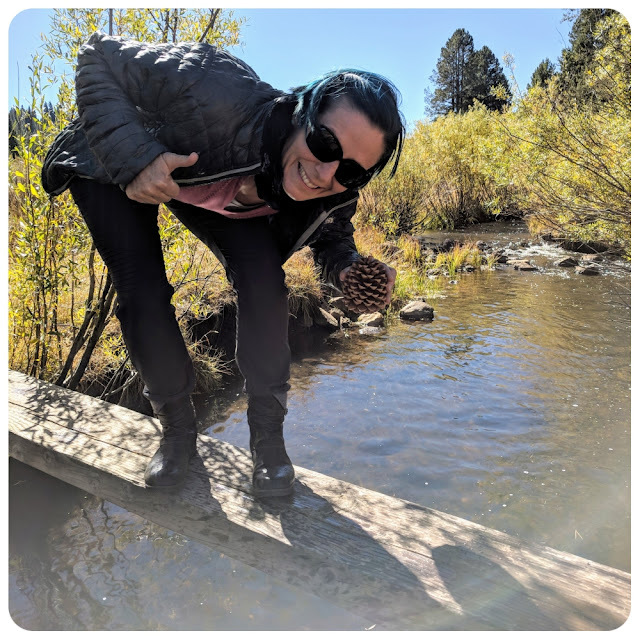 My friend Emily took this picture of me balancing on a little foot bridge... feeling comfy and confident with my awesome Evans boots on! In addition to day hiking and long city walks, I've been wearing these boots to go teach yoga, do errands, go to the farmers market, walk the dogs... you name it! They haven't failed me yet and I love them more and more everyday! Let me know if you get any shoes for yourself! 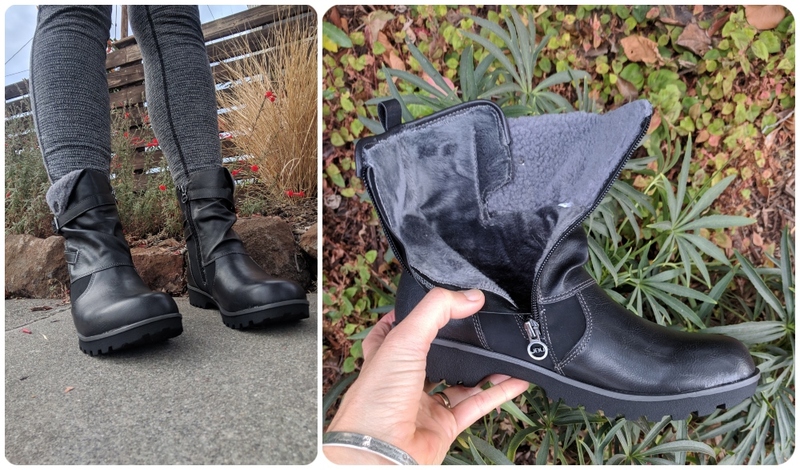 This season I have also reviewed the stylish Parker Boots and the Spirit Vegan Slip-ons in case you want to check out those reviews as well. These look so cute and comfy! I wish I didn't have weird shaped feet and I could buy shoes online, they look like they would be worth the international shipping costs!